I am a huge breakfast nut. I just love eggs. I love them scrambled, easy over, hard boiled, poached, sunny side up. I love omelettes, quiches, egg salad, deviled eggs, stratas, fritatas and egg sandwiches. 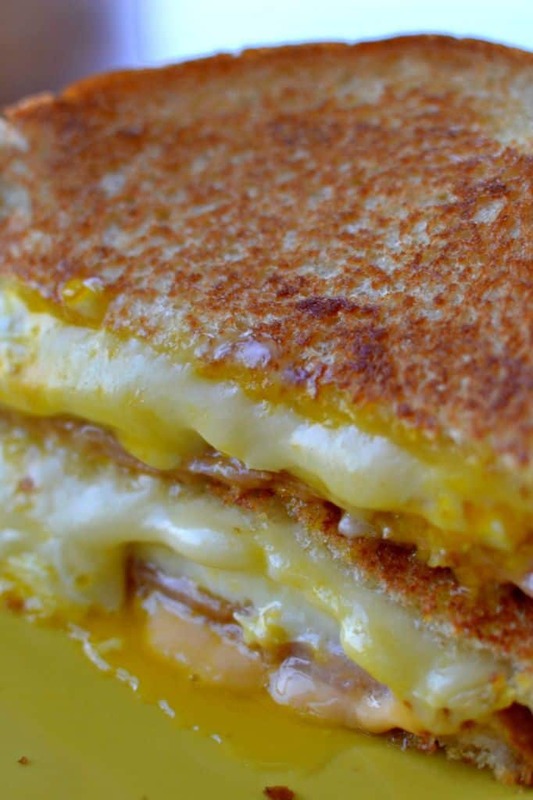 This breakfast grilled cheese is so quick and simple. 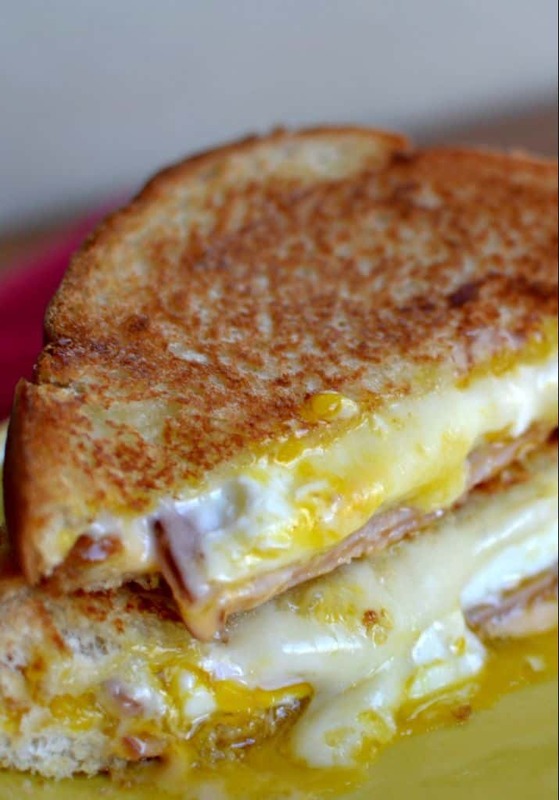 I am sure that even a novice cook can handle this Egg Sandwich recipe. I have seen other recipes for breakfast egg sandwiches but they look a little complicated. I am not saying they aren’t delectable but in the morning every minute counts! Do you like eggs? Do you like your yolks runny or firmed up? You can adapt this recipe very simply to the way you like your eggs cooked. You could even scramble them or cook them like an omelette. How do you make an Egg Sandwich? 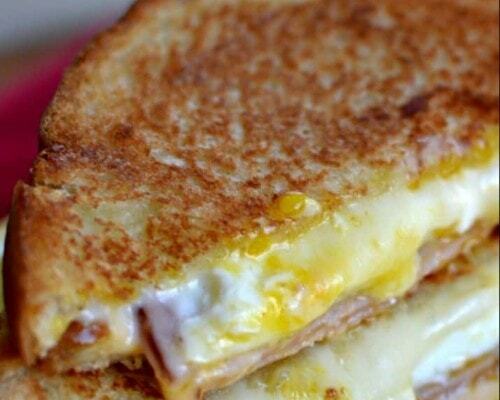 First assemble the bread, ham and cheese so when you are eggs are ready you can slide them on. Place one slice of white American or cheese of your choice on one slice of the bread. Place one slice of yellow American or cheese of your choice on the opposite slice. Top each side with a thin piece of honey ham. Cook one egg per sandwich over easy in a little butter or olive oil. You can cook it so the yolk is set or runny. If runny gently put the sandwiches together or the yolk will crack. Put thin pats of butter on the top slice and carefully move it to a hot skillet. Place it in the skillet butter side down. Top the other slice with butter pats. Cook over medium low heat and cover the skillet loosely with aluminum foil. Flip to brown both sides. 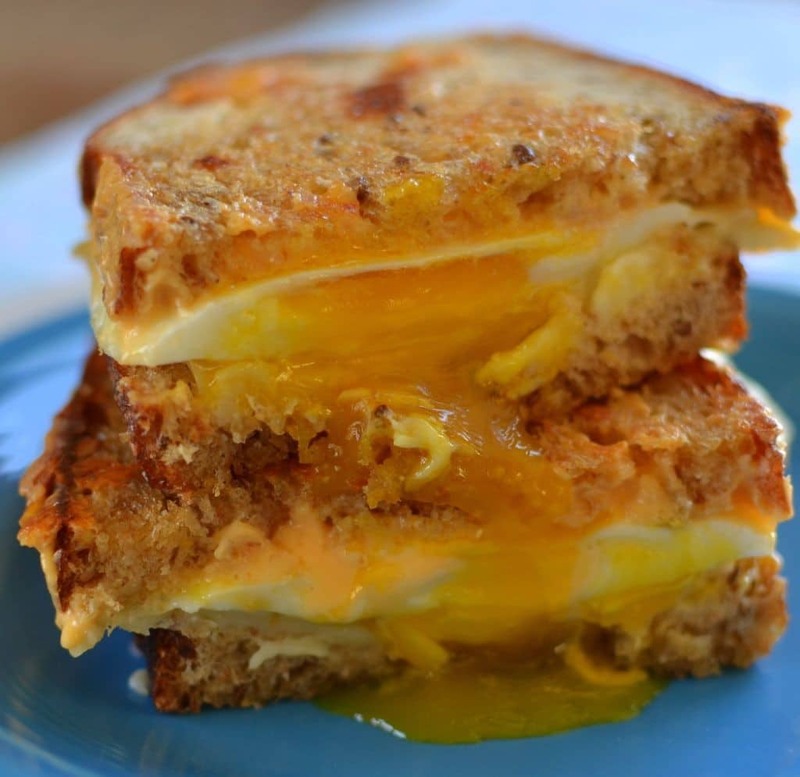 Tips on making awesome Egg Sandwiches! Use good quality bread. It really does make a difference. Don’t skip the cheese. It brings everything together and makes it so tasty. Butter makes the bread brown so nicely and adds fabulous flavor. You can use salted or unsalted butter. If you like your eggs runny don’t push down on the sandwich. It will all come together as everything melts and browns. Cover the skillet loosely with foil so the cheese melts around the egg and is ready when the bread browns. Enough said. These sandwiches are a shoe in with your family and perfect for you even on schooldays. They can be prepared in a matter of minutes. You and yours are going to love them! This post was originally published February 27, 2016 and republished February 7, 2019 with new content. All I cannot say is … Oh my! Yummmmy. I Loved this! Thanks. I love that sandwich! I am going to make this tomorrow so exited! Thanks! It is an easy delicious sandwich…so good! Okay now I am hungry! I have been making these for a long time but never knew there was an actual receipt for them. My husband calls them “Sloppy Egg Sandwich. We make them for dinner sometimes, they are tasty anytime of day or night. Yes they really are and oh so easy! We love them! I found this recipe on Pinterest and made this grilled cheese for my husband last weekend! He gave this rave reviews! A hit for us both. I do love a good breakfast sandwich. This one is definitely going in the must-make file. It looks perfect. Thanks so much Bill! I sure hope you enjoy it as much as we do! Such a simple dish & my favorite breakfast option.Eggs are my favorite anytime really. Eggs are my favorite too! So easy, nutritious and delicious! Thanks for including the nutritional info. This looks super delicious and I’ll have to try it! You are most welcome Jaye! I hope you enjoy it!! I LOVE a good egg sandwich. I like to make them like this but with one variation. I make the bread French toast. Yummo! Now this is my kind of breakfast. It seems so flavorful and well balanced. Your other sandwich combination suggestions sound delicious as well. Thanks so much Marcie! So glad that you stopped by! My husband eats eggs for breakfast every morning. I bet he’d really dig this egg sandwich recipe! Awesome! You should make him one! He will love it. Good tip on covering the skillet with foil! Yes indeed to get that cheese all melty! Yummy! I love Bacon and Monterey Jack Egg Sandwich. I like to play with my sandwich by changing it with different variants of cheeses. It has literally been years since I’ve made an egg sandwich. Your pictures made me want to change my menu for this Saturday morning and treat my family to a surprise! Thank you. Fantastic! I sure hope they enjoy them! So easy and delicious!! This was really amazing! My kids loved it too!! Thanks so much Toni! I am glad that the kids loved it too! So simple but always a favorite! Yes indeed! I love a good simple recipe! Egg sandwiches are always a quick meal. This looked really easy to make. Yes they are so easy to make and so delicious! Enjoy! Love, love, love this recipe! An easy and tasty breakfast. I make these at least once a week! So yummy. Thanks so much Sommer! We love them too! My goodness look at that I need to try it! I really like the pictures you took of the egg sandwich. The yolk dripping makes it look more tasty. I’m an eggoholic! If that is a phrase 😉 Your recipe seems interesting. Will definitely try it out! I think that is a word because I am one too! LOL! Thanks so much Remo!